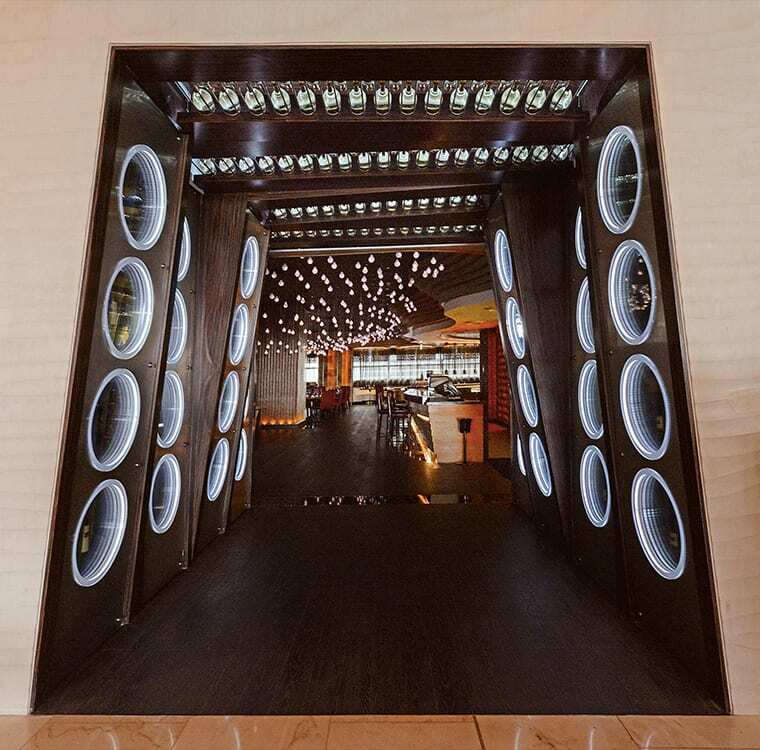 The entrance to Dubai Conrad Hotel’s Marco Pierre White Grill Restaurant is an archway of wine. Guests are welcomed by sixteen select wines in gun barrel-shaped window displays on sides and four rows of lit up bottles in the ceiling. It’s a splendid light and shadow play, intensified with changing rhythm of planes, shapes and colours. 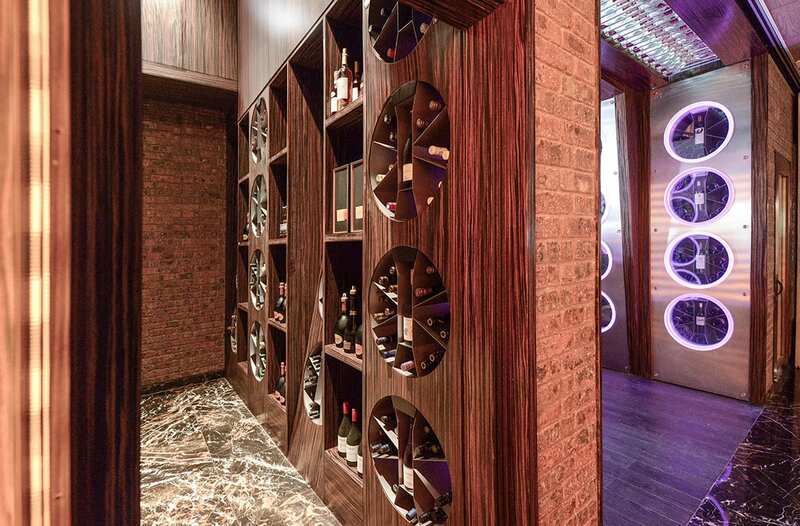 Behind this unusual array of bottle displays are two walk-in wine cellars – one for red and one for white wines- which are the result of precise engineering and fine workmanship.